Singing duo, Mamuze Twins, who were called out on social media by galala singer, Daddy Showkey, that they allegedly abandoned their mother while she was alive, have said that they would not make a categorical statement at the moment. 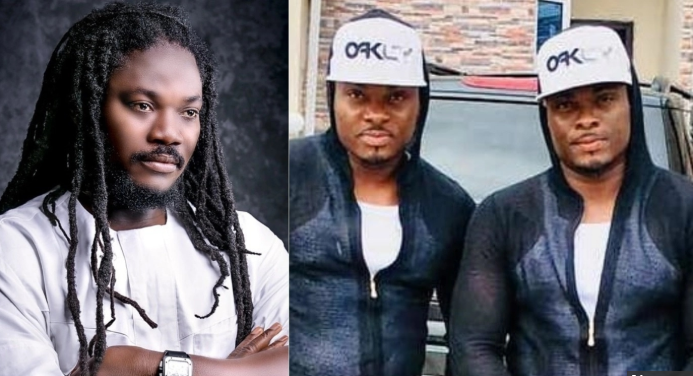 Showkey also said he urged the twins to go and take care of their mother when he heard the news that she was sick, but they were said to have told him they were in a church doing a 10 days fasting and prayer. “They even told me that it was their pastor that told them to stay away from their mother because they had been married for years without a child. And I asked: how the woman who gave birth to 10 of them and she did not kill anyone. Why didn’t she kill us all when we were all struggling in Ajegunle and she was the only one taking care of us?” he said.